Yesterday afternoon I learned that major fraud had been practised on my believing mind and that a team of 4000 people had been working to make me see apparitions. Was I upset? Far from it. 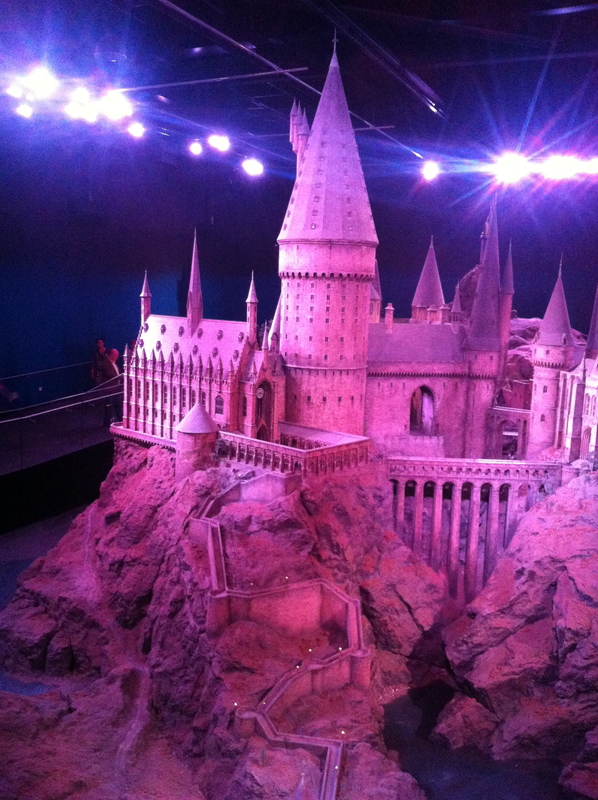 The Making of the Harry Potter films experience at the Warner Brothers studios in Watford is brilliant. I was enchanted. We arrived by car, having been unable to find platform 9 ¾. Ushered through the main doors of Hogwart’s, we wandered open-mouthed down the great hall. Disappointingly, we weren’t allowed a food fight, although on the positive side, we weren’t attacked, fire-balled or burnt down. As a design tip for the average suburban sitting room, you don’t need real floating candles, just cotton wool lumps lit from underneath, floating in a draft. Very effective. The magic in our minds should have been blown away as we were shown how to make broomsticks fly, people in portraits talk and staircases move randomly. I know how ceiling-free rooms seem to connect to the heavens; but I’m not telling. Think I could even have a pop at training an owl now, if they’d only add in a module on how to catch one. Far from being deeply disappointing, taking away the magic of Harry Potter, the whole thing was a revelation. Seeing the quiddich brooms with a green screen blew away my embryo acting ambitions; must be a teeny bit tricky to be apparently having a ferocious aerial battle in front of a green screen. Puts Radcliffe, hat and off neatly into the same sentence. The team left their personal touches on the film. Many of the portraits are of behind-the-scenes people that worked on the film. 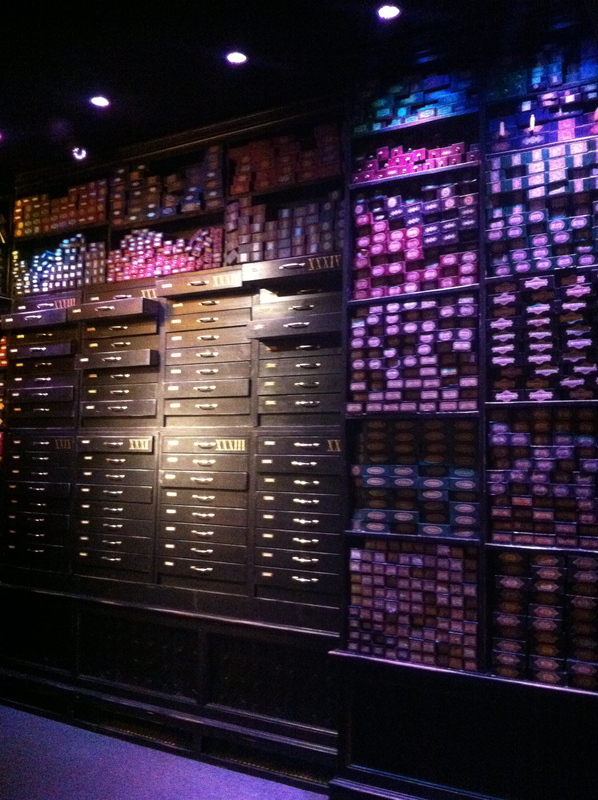 At the very end of the tour, in Olivander’s shop, each of the wand boxes was named tagged with one of the 4000 people who worked on the films. 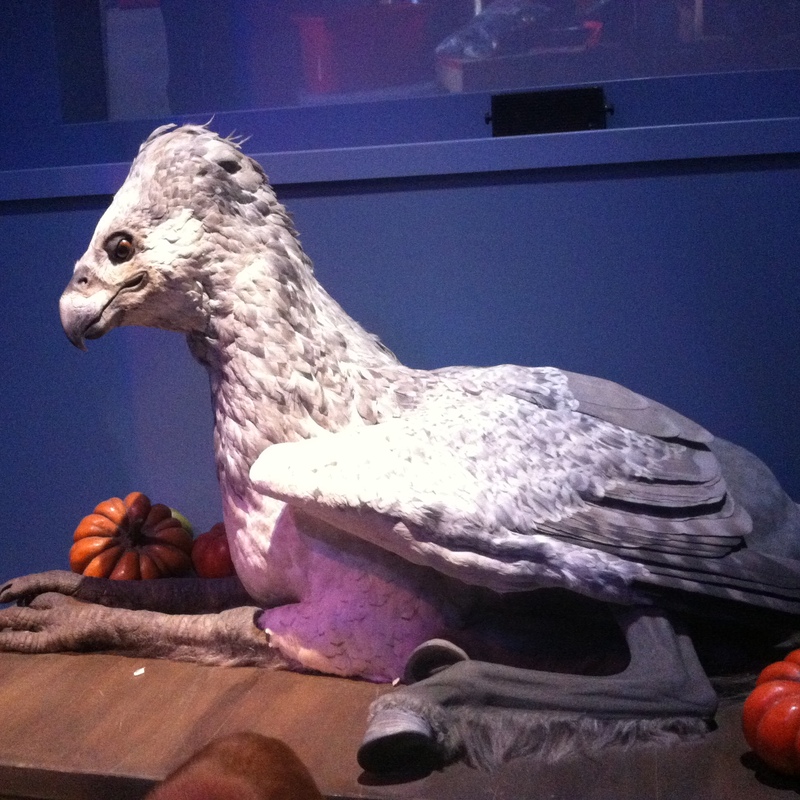 The best moment was meeting the elegant, astonishing hippogriff, although I didn’t bow and therefore could have been savaged. At the end we were left with a sense of what fun it must’ve been to be part of the process. Having nought talent for acting, drawing, music, set design or constructing models, my employment options might have been limited, as they already had an author. I would’ve been relegated to being a gopher or making tea, but it would have been worth it. 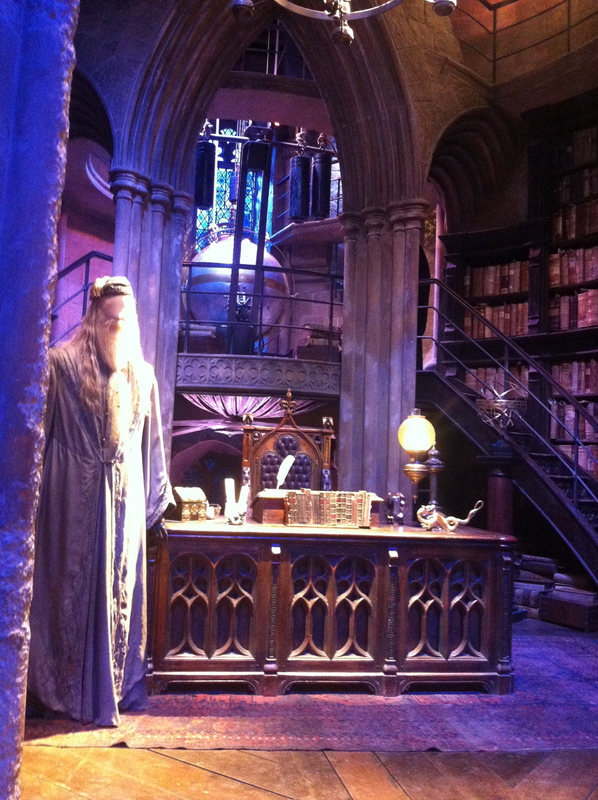 I’d have got my name on one of the Olivander wand boxes. That would have been magic.